Jökulsárlón is a large glacier lagoon in Southeast Iceland, on the edge of Vatnajökull National Park. It started forming 60 years ago due to the retreat of the glacier, Breiðamerkurjökull, from the ocean and is not the deepest lake in Iceland at 248 metres. It is considered one of the natural wonders of the world, often "littered" with bright blue icebergs and seals happily lazing on the shore or playing in the water. It is a popular destination to simply sit and watch the lagoon change, or to take a boat tour through it. Of course, you can also see it from the sky in the comfort of our helicopters! It is the setting of many known Hollywood movies such as James Bond's A View To a Kill, and Batman Begins. 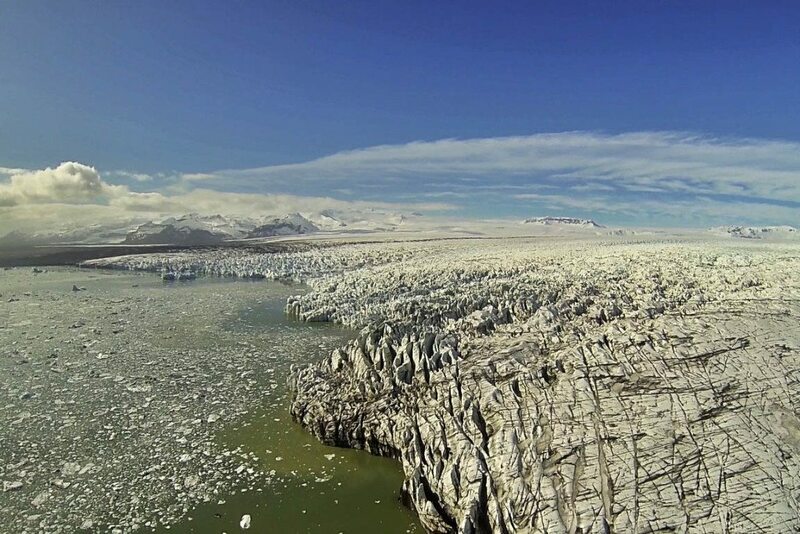 Explore this magnificent spectacle on our Glacier Lagoon Expedition!